The Nanyang Technological University associate professor whose denial of tenure caused an outcry within his faculty may have to leave the university by next year. 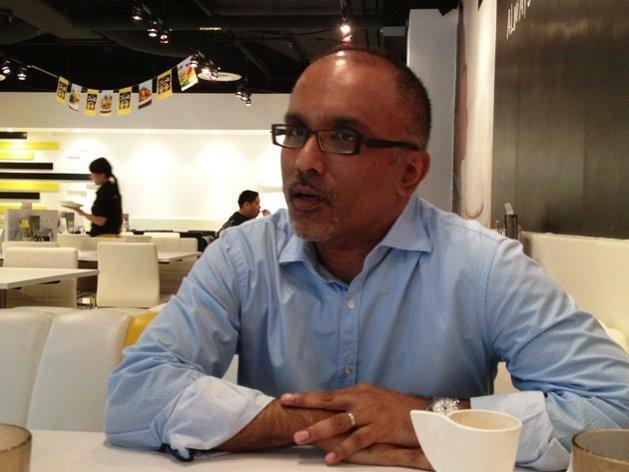 According to a statement from a group of students who met with Benjamin Hill Detenber, chair of the Wee Kim Wee School of Communication and Information (WKWSCI), NTU policy states that journalism associate professor Cherian George would have to leave his position within a year after being rejected for tenure a second time. “Dr Detenber said tenure-track professors employed in NTU first get a three-year contract before they are put up for consideration for a tenure contract. If they fail to get a tenure contract at the first attempt, they would then be granted another three-year contract. If they fail at the second attempt, they would be then allowed to stay in the University for another year, before being asked to leave,” read the statement, which was sent out to all signatories of a petition protesting Dr George’s denial of tenure. The statement also quotes Dr Detenber as saying that WKWSCI had endorsed George on both occasions when he was nominated for tenure, but that the former could not comment on whether the nominations had been cleared at subsequent levels. Detenber also said that the faculty had nominated George to be reappointed as the head of its journalism division but the university had turned them down, according to the statement. George’s teaching credentials were also discussed during the meeting between Detenber and the students, with Detenber saying that the faculty “fully recognised Dr George’s quality”, a fact validated by the school’s nomination of George for a teaching award in 2009 as well as in his role of helming the Asian Journalism Fellowship. The students said they were provided with a brief outline of how the tenure application process works in NTU, and in particular, in WKWSCI. “It is kick-started by an internal promotions and tenure committee in WKWSCI, which selects candidates based on merit. The nominations are then sent to the chair, who eventually decides on who to endorse, with the help of a separate advisory committee,” said the statement. The Academic Affairs Council is currently chaired by Prof Haresh Shah, and the board of trustees include MOE Permanent Secretary Ms Chan Lai Fung, Chinese daily Lianhe Zaobao editor Goh Sin Teck, and People's Association board member Mr Wong Yew Meng. This latest development comes after an online petition started by students Bhavan Jaipragas, Eve Yeo, Mark Tay and Jasmine Ng garnered over 800 signatories and sparked outcry amongst students, faculty members and alumnus. Cardiff University professor Karin Wahl-Jorgensen tweeted Saturday morning that the rejection was “on the grounds of quality of teaching and research” and added that as one of the reviewers for George’s nomination, she was “outraged” at the decision not to grant him tenure, suggesting that his rejection may have stemmed from his expression of political opinions. Known for his outspoken observations of Singapore's political system and media controls, George runs social commentary blog Air-conditioned Nation. In 2012, he released a book titled Freedom From The Press: Journalism and State Power in Singapore, the most recent of four books he has written on press freedom and state control in the city state. , who is also an adjunct senior research fellow at the Institute of Policy Studies and former journalist with The Straits Times. He joined NTU in 2004. The four students said that they would next be meeting with Dr Alan Chan Kam-Leung, Dean of NTU’s College of Humanities, Arts and Social Sciences as well as NTU Provost and Deputy President Dr Freddy Boey, who would be “best placed to comment on the issue of academic freedom in the University”.